When compared to oatmeal, on average oat bran has 50% more fiber and soluble fiber, making it much more efficient. Ideal for breakfast as hot cereal or mixed with yogurt or cottage cheese. Oat bran can also be used to make savory pancakes, pizza crust, muffins, cookies and much more! Ideal for breakfast as hot cereal or mixed with yogurt or cottage cheese. 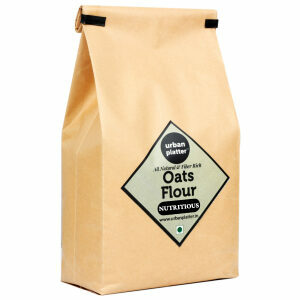 Oat bran can also be used to make savory pancakes, pizza crust, muffins, cookies and much more! As the only source of carbohydrates during the Attack phase and Pure Protein days, oat bran brings an extra element of variety to the diet.